This post first appeared on IBM THINK Marketing. In the same way that IQ (or raw intelligence) helps humans make rational decisions, EQ (or emotional intelligence) helps humans make decisions based on empathy. Can artificial intelligence (AI) help us develop better empathy for our customers — and, in some cases, have even better empathy than humans? Empathy is patiently and sincerely seeing the world through the other person’s eyes. It is not learned in school; it is cultivated over a lifetime. I think Einstein is right — empathy is difficult to attain. But if we want our AI to truly understand and engage with us, it will need to develop “artificial empathy.” Artificial empathy is possible only if true empathy and the desire to understand customers lies at the center of the algorithm’s design. This isn’t something far off in the future. Chatbots use natural language processing and machine learning to engage people in what feels like a real conversation. In some cases, it’s not clear if you are talking to a human or a machine. 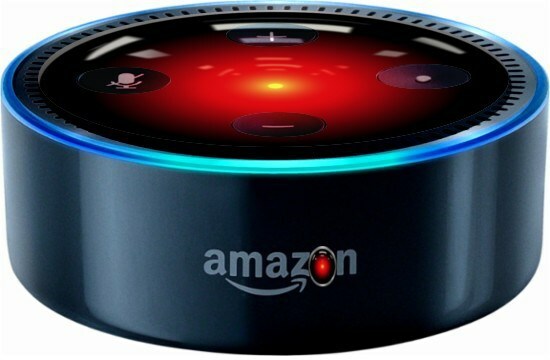 This can begin to warp our sense of what “normal” conversations are — witness how people talk with Amazon’s Alexa, where the pleasantries of conversation become unnecessary. Likewise, a robot named Pepper can analyze facial expressions and tone of voice to provide an empathetic response. Pepper has started welcoming guests on cruise ships and shopping malls and, unlike its human counterparts, Pepper doesn’t need breaks and never tires of answering questions. AI enables a sense of empathy that would have previously taken a lifetime of experiences to learn. I believe that computers with AI-driven empathy could be even better at this than humans, because algorithms don’t necessarily have the biases that keep us from having empathy. For example, I may not connect with someone because they remind me of an annoying aunt. But a computer with EQ would be able to take a lot of data — such as my tone of voice, my facial expression, the words I use, along with my entire engagement history — and use it all to better understand me. The question is, what do we do with this ability to literally perform mind-reading? Right now, much of the business attention on AI centers on the ability to figure out the next best content, product, or offer that will result in an action. Or worse, we don’t take the step of having empathy first when we develop our algorithms, resulting in an empathy vacuum. AI can and should be so much more. Empathy drives customer obsession, which should sit at the center of your AI strategy. Are you developing AI to sell more stuff? Or is AI going to be used to better understand customers? It’s a subtle but important difference. If empathy sits at the center of your AI strategy, you’ll understand when customers want to be left alone or that your product/service wouldn’t be a good fit. That respect for a customer comes from the artificial empathy that you build into your artificial intelligence. Ultimately, it takes humans with EQ to create computers with EQ. As we head into 2017, take a step back from your AI efforts and think about where empathy can and should come into play. You and your customers will be better for it.